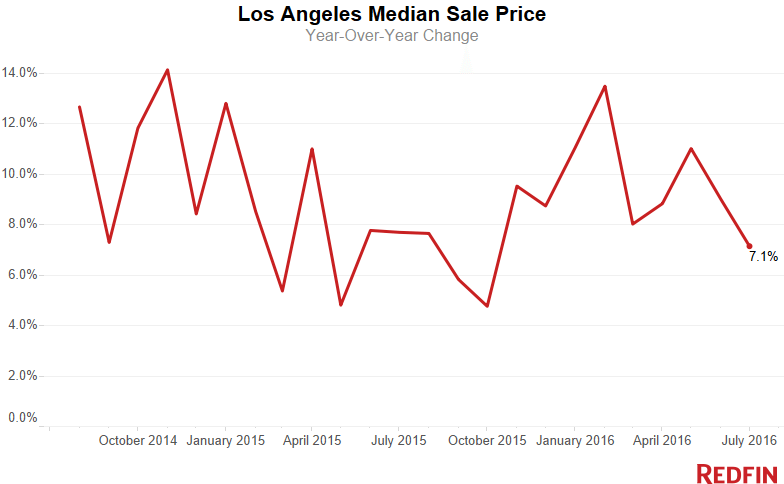 Home prices in the city of Los Angeles rose 7.1 percent in July from a year earlier, to $600,000 – nearly double the price buyers were paying for an L.A. home five years ago, according to Redfin. Home sales declined significantly, falling 9.3 percent compared to last July, mirroring a nationwide trend of declining sales activity. Los Angeles broke ground on five multifamily projects valued over $100 million, according to a new report from Dodge Data & Analytics. The two highest priced projects were the $493 million multifamily part of the Century Plaza in Century City and the $275 million multifamily part of a mixed-use development in L.A.
After comparing top metropolitan areas, Trulia found Los Angeles renters and homeowners are feeling the most claustrophobic, with a 29.2 percent space crunch.